Check out key bills heard this week and next! ILF members receive weekly legislative updates with summaries of activities, bill lists and occasional talking points and action alerts. We recognize that some members have not yet renewed; please renew today to keep these updates coming after the grace period ends on 1/31/17 . If you have feedback or suggestions on our new format, please contact Lucinda, Tisa or Brittany. 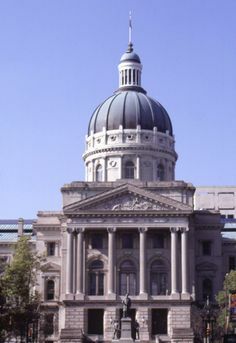 Legislative update from Bose - includes an overview of the second week of the session, including our priorities in the budget, summaries of bills heard this past week (roads, referendum levies, pre-K), preview of next week and actions taken to advance ILF policy priorities. Bill Tracking List - Note that this is a DRAFT list of bills that may relate to our ILF Policy Priorities. We will provide a separate action alert with key facts or talking points when appropriate. Thanks to the 52 people who completed the Relationship Mapping Survey. It's not too late to help us assess and plan our advocacy strategies. We have also been emailing specific members who are residents of, or who serve, districts with key legislators. Thank you for sharing information. school libraries and certified librarians in K-12 education. Consider attending a Third House / Meet Your Legislator session; the calendar is updated regularly by IaUW. The host usually opens the meeting and legislators give an update about what is happening in the Statehouse. Sometimes the host organization will facilitate questions. Attendees may listen or ask questions. Often there is a little time to visit with legislators. It is a great place to network and share your library story with other attendees. If you attend, consider emailing us. Many thanks to the library advocates who have attended Third House sessions in the past two weeks.